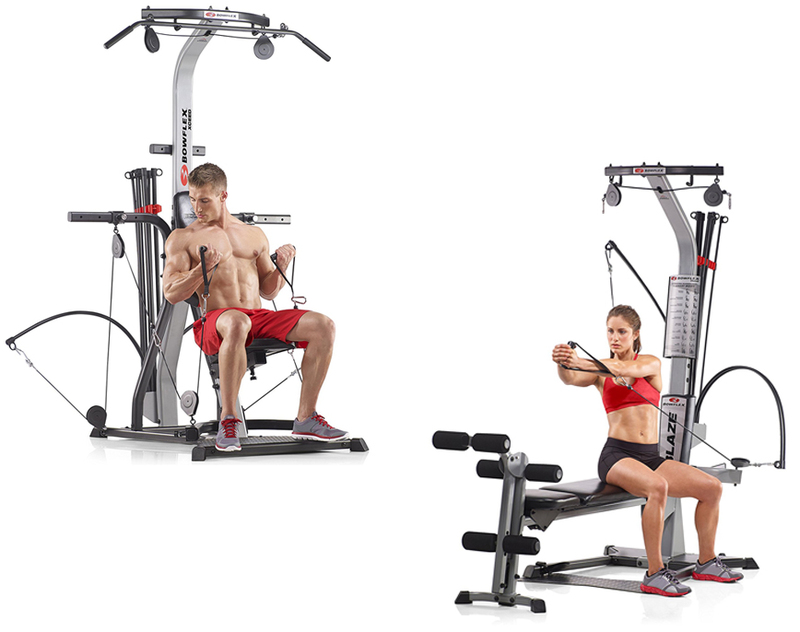 Bowflex Xceed and Bowflex Blaze are two fitness equipment to help you with your strength training. They are perfect for those who don’t have much time to spare to go to gym or prefer doing their training at home. Both equipment is compact enough to fit into your free space and comes with rich features. If you want to have stronger muscle, you may want to read our article below. 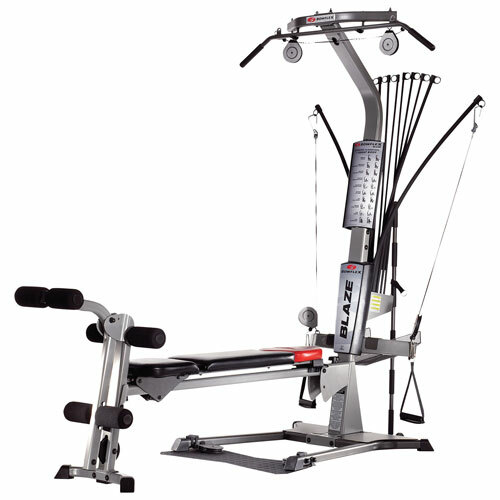 Bowflex Xceed is a home gym of fitness equipment that was manufactured by Bowflex. This company has been around since 1985 manufacturing fitness or training equipment, but the marketing is done by Nautilus, Inc. Bowflex Xceed is released years ago and is one among the company many other products, but it also among those popular fitness equipment available. The equipment is designed to be your serious strength-training partner with its over 65 gym-quality exercise, so now you don’t have to go to gym and keep your exercise routine from home. Moreover, you can share it with your partner to get healthy together and make your training routine more enjoyable. Many people abort their fitness equipment purchase, because most of those equipment are large enough to fill the rest free space in their home, but it is not the case with Bowflex Xceed since the space you need to put your Bowflex Xceed is quite narrow around 7’ x 6’ in rectangle shape, so you can be sure that this equipment will not consume too much space on your house or apartment. It is also perfect for those who don’t want to dedicate a room in their house just to store fitness equipment. 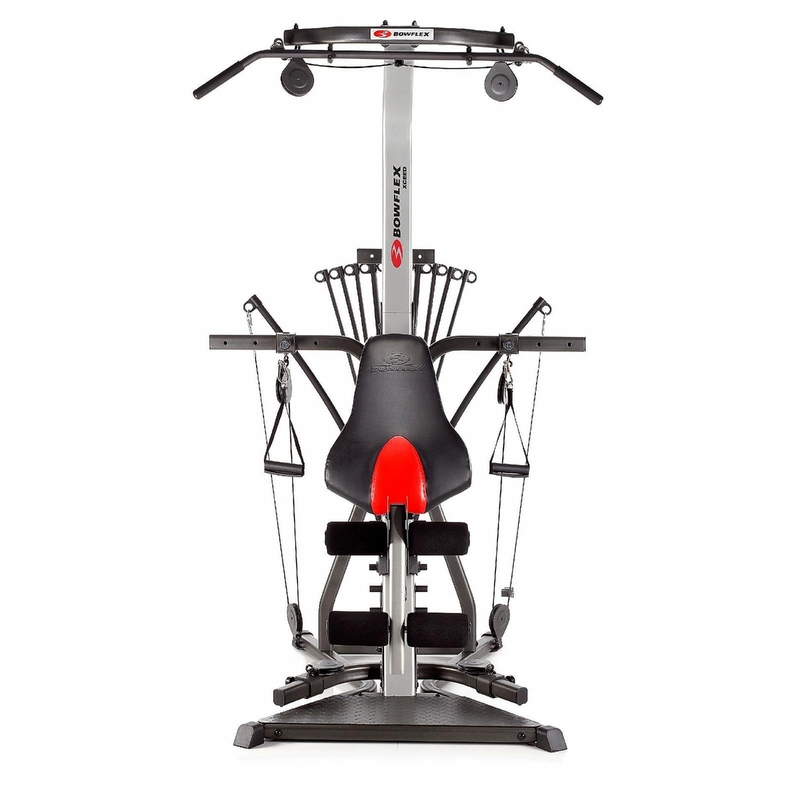 As it have been mentioned earlier, taken from Sears Bowflex Xceed comes with more than 65 gym quality exercises; it comes with various features, such as Lat Tower, Squat Station, Leg Attachment, Ab Crunch Attachment, Lumbar support and adjustable pulley system. This equipment comes with 310 lbs. of resistance, but you may upgrade it until 410 lbs. All of the 65 exercises are capable of training your muscle in different part of your body. It is recommended to start with lighter weight first and slowly move up to maximum 410 lbs. resistance for intense workout. Lat Tower have angled lat bar to help you build your back and shoulder muscles faster; upper and lower pulley or squat station is there to help you build your glutes and hamstrings as well as quads. Bowflex Xceed with Leg extension or leg curl attachment will train you to develop strong and muscular legs. The equipment also has abdominal attachment with harness and multi colored bench with built in lumbar support. When you purchase Bowflex Xceed, the item wills comes in pieces that needed to be assembled first before you can use it. But worry not, since they come with an easy to understand users manual to use the equipment and assembly manual to put all the pieces together. Some things that you need to note are Bowflex Xceed is not recommended for children below 14 years old, so you may want your kids stay away from the equipment to avoid unwanted things and the maximum user weight limit is 300 lb., so if you are above the number, you may want to pick another equipment. Bowflex Blaze is a home gym equipment from the same name company like Xceed we have talked about on our article above. This equipment is great for those who are reluctant or don’t have much time to spent to go to gym, so they can still do their exercise routine at their own home. Bowflex is known for their quality and dependable products and Bowflex Blaze is not an exception. With its Power Rod technology, you can optimize your strength training and fitness goals faster and more effective. With its 60 plus gym quality exercises, you can get gym training quality without even leaving your house. Bowflex Blaze is very compact and will not consume so much space in your home or small apartment unlike many other similar fitness equipment. The exact space you need to place your Bowflex Blaze is 8.5’ x 6.5’, so you shouldn’t worry that the equipment will makes your house or apartment “too crowded”, especially those with not much space to spare. As it have been mentioned above, Bowflex Blaze able to let you perform more than 60 gym quality exercise with 210 lbs. of resistance that is upgradeable until 310 or 410 lbs. or use extra weight, so you can expect that this equipment is not only suitable for beginners, but also for those with higher fitness level. The Power Rod technology we mentioned earlier is designed to make Bowflex Blaze just as comfortable and effective. If you spare your 30 minutes for 3 or 4 times a week, you definitely will see excellent result. With Bowflex Blaze you can do effective and efficient leg workouts or exercise utilizing its lower pulley system, squat bar or straps as well as leg press belt. To boost your leg workout, there are leg extension and curl attachments, so you will be able to train your hamstrings, glutes as well as quads all over. With angled lat power, you can strengthen your shoulders and back muscles efficiently because it was ergonomically designed to help you perform back exercise more naturally, so you can avoid injury while exercising. This feature also helps you working out your triceps. When you purchase your Bowflex Blaze, the item will come s pieces that needed to be assembled; you can follow the assembly manual and make sure to also read the user manual first before using the equipment to get more information on what you should and shouldn’t do with your equipment. If you are above 300 pounds, you may want to change your option, since Bowflex Blaze is not suitable for you. Now, let’s compare Bowflex Xceed and Bowflex Blaze. First is the seat, we can see that both have different seat, since Xceed have adjustable seat with high density foam cushion that makes the bench press position vertical, while Blaze have horizontal bench press. Second is the amount of exercise you can do; Xceed claims to have more than 65 exercises, while Blaze is more than 60 exercises. Third, is the warranty, because Xceed comes with 7 years warranty, while Blaze only have 5 years warranty. - 210 lbs. of Power Rod® resistance, upgradable to 310 lbs. or 410 lbs. All in all, both equipment are great choices to help you with your strength training. However, in our opinion Bowflex Xceed is better, since it provide you with more exercises and have longer warranty to ensure you will able to use the equipment longer.